Parallel I/O hardware and software infrastructure is a key contributor to performance variability for applications running on large-scale HPC systems. This variability confounds efforts to predict application performance for characterization, modeling, optimization, and job scheduling. We propose a modeling approach that improves predictive ability by explicitly treating the variability and by leveraging the sensitivity of application parameters on performance to group applications with similar characteristics. 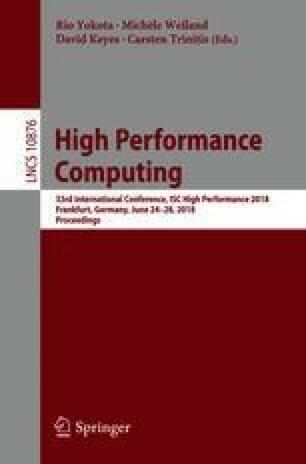 We develop a Gaussian process-based machine learning algorithm to model I/O performance and its variability as a function of application and file system characteristics. We demonstrate the effectiveness of the proposed approach using data collected from the Edison system at the National Energy Research Scientific Computing Center. The results show that the proposed sensitivity-based models are better at prediction when compared with application-partitioned or unpartitioned models. We highlight modeling techniques that are robust to the outliers that can occur in production parallel file systems. Using the developed metrics and modeling approach, we provide insights into the file system metrics that have a significant impact on I/O performance. This material is based upon work supported by the U.S. Department of Energy, Office of Science, Office of Advanced Scientific Computing Research, under Contract DE-AC02-06CH11357. This research used resources of the National Energy Research Scientific Computing Center, a DOE Office of Science User Facility supported by the Office of Science of the U.S. Department of Energy under Contract No. DE-AC02-05CH11231.